Hey there everyone! 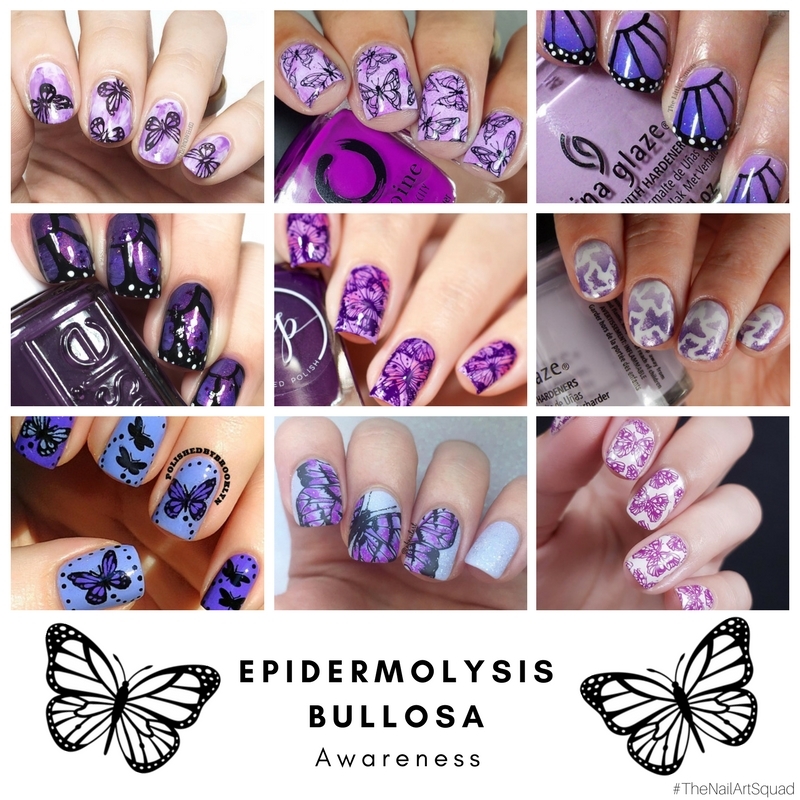 Today I am back with The Nail Art Squad for a purple butterfly mani in honor of Epidermolysis Bullosa Disease Awareness. One of our members knew someone who was affected by this disease and so we thought it would be great for all of us to bring some awareness to the disease. So lets take a look at everyones manis and learn a bit. Here is the disease by definition according to the Mayo Clinic. Epidermolysis bullosa has no cure, though mild forms may improve with age. Treatment focuses on addressing the symptoms — such as infection and itching — and preventing pain and wounds. Severe forms may cause serious complications and can be fatal. 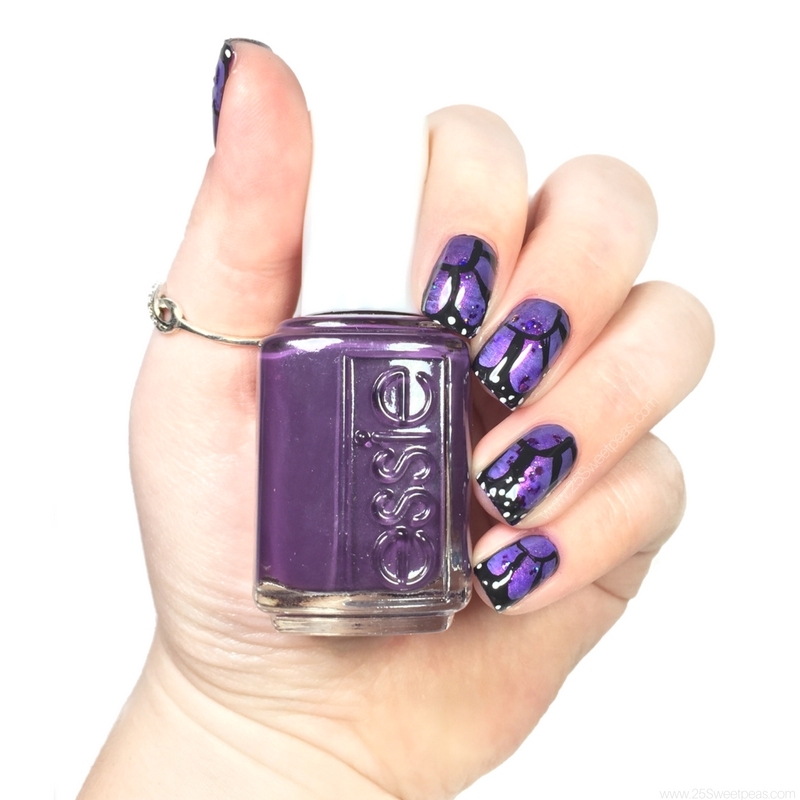 Children that have this disease are often called Butterfly Children so we decided to do butterfly manis in the color purple which is the color they use for this disease in awareness type situations. 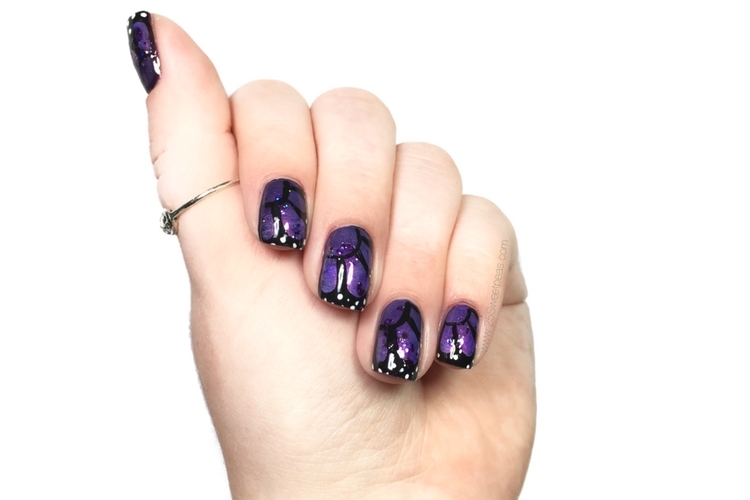 This mani was created with quite a variety of polishes/paint. I started with Essie Kimono-over. Then I went over that with some light purple watered down acrylic paint. After than I then topped it with China Glaze Seas & Greetings. Then on top of that I sponged on some China Glaze Brand Sparking New Year. Ha, that was a lot I know. So following that I then used acrylic paint and painted on the details. It was a fun mani to do and I'm pretty happy with its out come. I love everyones manis honestly. They all look so nice together and I'm so happy we all got to do these together. Well that is it for today! I hope you have enjoyed this mani and I hope you are having a great day. To all of my Texas/Gulf Coast readers, I hope you are all staying safe in this wet weather I am seeing on the news! Hope its not as bad as some say it may be.